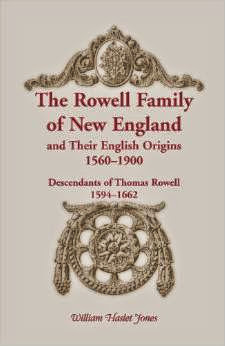 Philip Rowell was born in Salisbury, MA on 8 March 1647/8. His parents were Valentine and Joanna Pinder Rowell, they had both immigrated to the Puritan controlled Massachusetts Bay colony with their families. They met and married in Salisbury. Phillip was their third child. The constable was an officer of the town, chosen by his neighbors. His duties was to serve processes, execute warrants, deliver writs, make arrest and summon town meetings.He could also be called upon to collect taxes, organize elections, look after lost goods, recover stray animals, keep a record of newcomers to the town and arrest "such strange persons as do walk abroad in the night...and sleep in the day; or which do haunt any house, where there is suspicion of bawdie". Phillip would have been a familiar figure in town and would attend all the court sessions. In 1685 he would find himself on the other side of the law, facing charges in court. But he was nowhere to be found, he had "fled the country". Anne Cotton Carr was born in Hampton, NH in 1661. She was the daughter of the Rev. Seaborn Cotton and Dorothy Bradstreet. Her grandfathers were Simon Bradstreet, onetime Governor of Massachusetts and the Rev. John Cotton, one of the most respected Puritan ministers of all time. On 8 November 1677 Ann married George Carr Jr. of Amesbury. 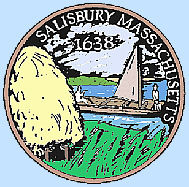 Phillip and Ann Carr would certainly have met each other shortly after her marriage, after all Amesbury was a small settlement at the time and the population would have been such that everyone would know everyone. But, Phillip and Ann new each other really well. At the September court 1685 Mr. Thomas Mudgett of Salisbury informed the court that Phillip Rowell, the constable of Amesbury, had left his wife with seven children and fled from authority contrary to bond given for appearance to answer a charge against him relating to the wife of George Carr of Amesbury. Ann had also fled the country. This must have had tongues wagging all over town and beyond. Not only had they had an affair and fled the country, but Ann was pregnant to boot. What a scandal for those high respectable Puritan families. This must have been especially painful for Anne's family, her father, grandfather and other family relatives so closely aligned with Puritan principles. The pair either came back willingly or were brought back by force to face the court. I cannot find what Phillip's punishment was but Anne was sent to prison for her crime. The was apparently a girl, she was named after her mother Anne Carr. Sarah Rowell was also in court, fighting for her livelihood The court granted her the poser of administration of Philip's business', the power to collect debts and anything else that would aid her support and that of the children. She was confirmed in his place as keeper of a house of public entertainment util the following March, when it was again confirmed. Philip and Anne eventually returned to their respective spouses. Anne and George did not seem to ever have had any children. Philip and Sarah had one more child. Philip was killed in an Indian attack in 1690 at the age of 43. Sarah remarried in 1695. William Haslett Jones, The Rowell Family of New England, Bowie, MD: Heritage Books, 2011.